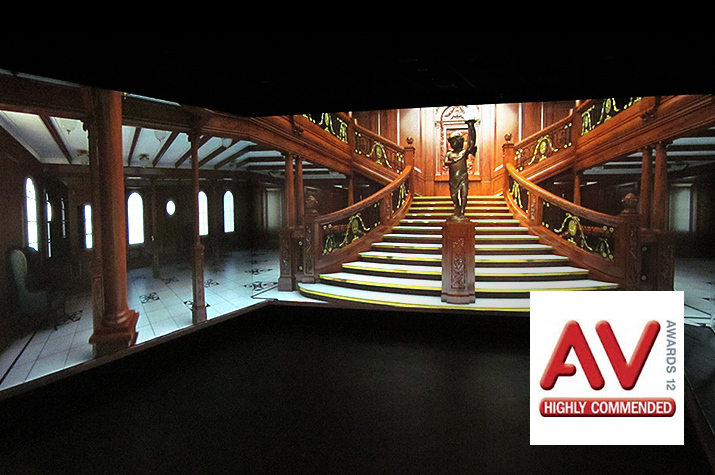 In the month after Titanic Belfast welcomed its half millionth visitor, DJW’s work at Titanic Belfast is ‘Highly Commended’ at the AV Awards. DJW were taken on as the AV systems integrators for Titanic Belfast, with Project Designers, Event Communications; and what has resulted is a stunning and inspiring visitor attraction based on the famous ship, from construction on this site in Belfast, through its maiden voyage and subsequent demise, and onto the present day dives to the wreckage. 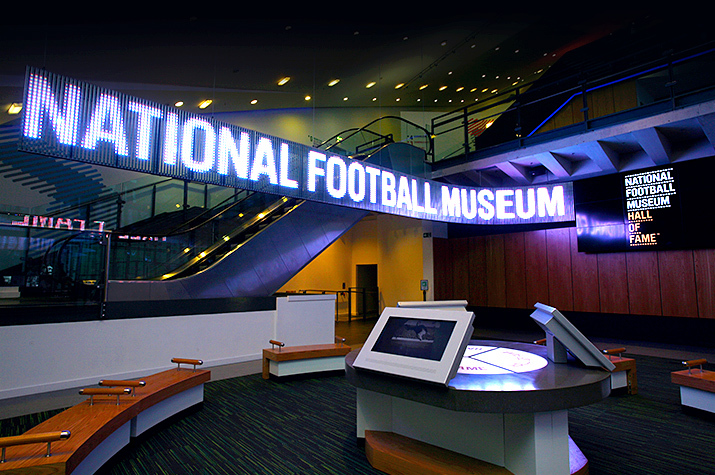 It’s getting closer to the opening of the new National Football Museum in its new central Manchester location. The old Urbis building is being transformed into a home for football and DJW is helping to fill it with lots of treats for football fans. 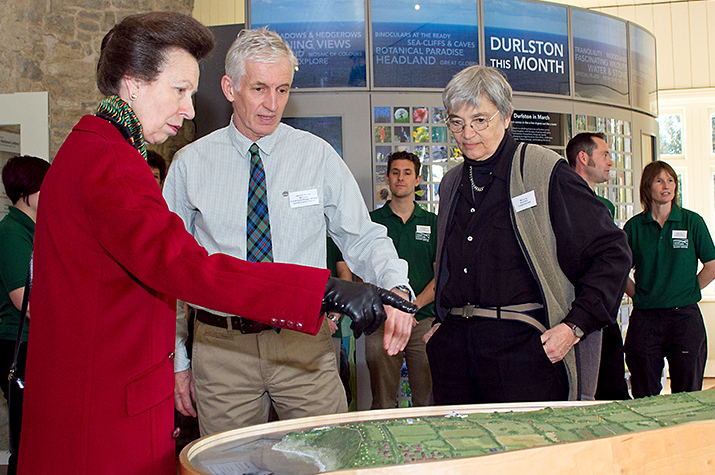 Durlston Castle was opened by Her Royal Highness The Princess Royal on the 12th of March after its transformation using Heritage Lottery and other funding. DJW, in partnership with Centre Screen, is proud to have contributed to the project which restored the Castle as an integral part of Durlston Park and provided a new gallery space as well as spaces for community and learning opportunities. DJW helped create a lively and informative visitor centre in the Castle for visitors to Durlston and the Jurassic Coast World Heritage Site. Almost 100 years since the Titanic set sail and Belfast will only now be commemorated as the place where what must be the world’s most famous ship began. 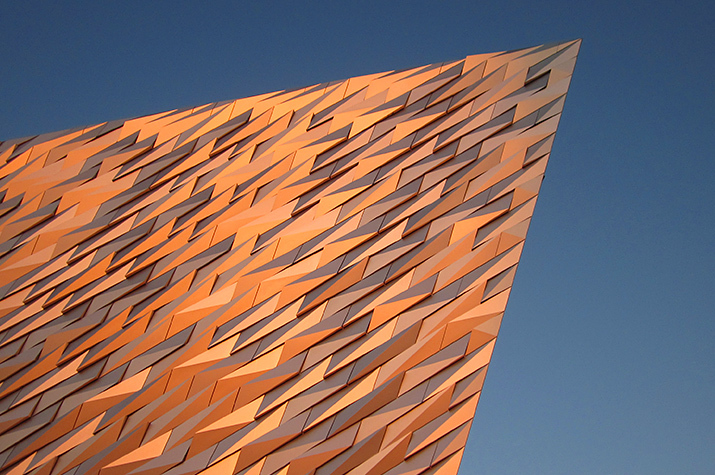 When the Titanic Belfast interactive exhibition and experience, sitting right by the docks and slipways where the Titanic was built, opens at the end of March, it will be the world’s largest Titanic visitor experience. DJW is now putting the finishing touches on the displays and sensory experiences. These will tell the story of the great ship, from the people who designed and built it, through to the inquiries after it sank.